Indicated for use by clinicians in clinical settings and for home use by patients. seamlessly synchronizes patient data to Electronic Medical Records. accuracy of an in-hospital exam. 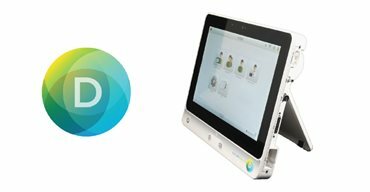 Our end-to-end telehealth solution includes FDA 510k class II cleared telehealth medical devices, cloud services, a Virtual Exam Room (VER), clinician and administrator / analytic portals, and a VER product line that supports patients across the continuum of care from hospital, to rehab, to home recovery. Dictum Health Introduces "Virtual Exam Room"